Nearly two years ago, Kristen and Christopher Breedlove of Liberty’s College of Osteopathic Medicine were pacing around the parking lot discussing ways to support a student whose family had experienced a tragic accident. The Osteopathic Merry Melodies quickly became the solution to their burdened hearts. A Christmas event like none other, Osteopathic Merry Melodies is a talent show, comedy act and night of celebration where the staff and students come together outside of the classroom to enjoy a night of laughter. 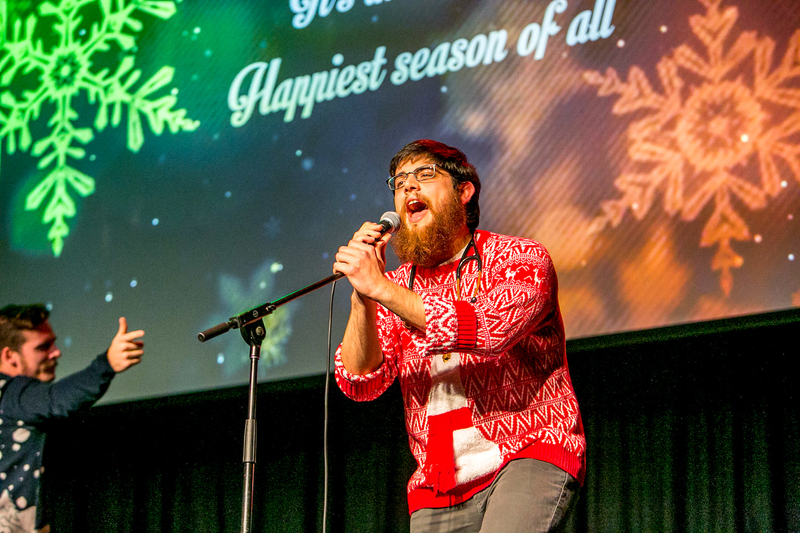 MERRY — The event features light-hearted, festive performances from faculty and staff. “(We wanted) something where LUCOM’s faculty and staff could be a blessing to the students, all of them, and specifically this one student,” Christopher Breedlove said. With all the proceeds benefiting that student in need, the Osteopathic Merry Melodies was a huge hit, although there were no plans for the event to become an annual show. After lots of encouragement, and little bit of begging from the students, the Breedloves decided that the show must go on. Kristen Breedlove directs the show filled with performances by LUCOM’s faculty and staff. This year’s theme is a variety act with a Vaudeville twist. Osteopathic Merry Melodies has a bit of everything from a lighting crew and sound engineer and special effects to make this event the highlight of everyone’s year. The goal for all of the performers behind the show is to bring laughter and something to look forward for LUCOM as the semester grinds to a halt. GIVE — The event was born when the Breedloves wanted to support a student and his family. The philosophy of osteopathic medicine is mind, body, mind and spirit, which the Breedloves explained was a huge factor for continuing the show in the spirit of unity and community. Tickets will be sold at the door on Dec. 8 at the LaHaye Event Space or at LUCOM all this week for $5/ticket. Santa and Mrs. Claus will be outside the event space the night of the performance for pictures and the show will start at 6:30 p.m. During intermission show attendees can enjoy free cookies and hot chocolate. “There are going to be students that don’t remember a certain exam or a standardized patient encounter, but they will remember Osteopathic Merry Melodies always,” Kristen Breedlove said. Great story – thank you for supporting LUCOM and its students, faculty, and staff. We hope the whole Liberty Champion team can come out and see the show. Merry Christmas.